Whether you're looking to fish or water ski Bighorn Lake, fly fish Bighorn River, visit Little Bighorn Battlefield, or just kick back and relax in a quiet atmosphere...we've got you covered! Bighorn Lake & River Vacation Home is a 2 bedroom, 1.5 bath home that can sleep up to 8. For the fly fishing enthusiasts; this home is located just 2 miles from the "Bighorn" river fishing access (known as "13 mile" to the locals) and is 12 miles from Fort Smith. This vacation property offers the ability to come to the valley to enjoy wonderful fishing on the world famous Bighorn River and not have to stay at a stuffy and over-priced "lodge". Bighorn Canyon National Recreation Area's Bighorn Lake is a sport fishing, boating and water skiing destination as well. For those of you not interested in camping lakeside, this home offers all of the creature comforts you're looking for. You'll be able to spend the day on the water and be "home" within 30 minutes to a hot shower, ice cold beverage and grill that fish you just caught. The home is situated on a large parcel of land, so you'll have lots of privacy, peace and quiet. The parking area is huge and there is plenty of room for your boats and pickup trucks. Bring the family, there is plenty to do to keep everyone occupied. Pets will be considered. 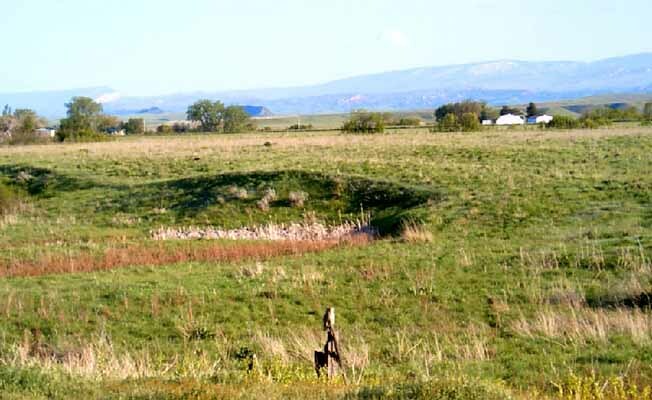 The Bighorn River valley is steeped in history. Fort C.F. Smith was just a few miles away, on the old Bozeman Trail. Little Bighorn Battlefield is approx 30 miles away. Drive to Yellowtail Dam; a hydroelectric dam operated by the Bureau of Reclamation. Billings, Montana and Sheridan, Wyoming are both great shopping destinations. Both are about 90 miles from the property and make nice day-trips. There are only a few vacation rental properties in the area, and this is by far the best value in the valley. . We've worked hard to furnish the house with brand new appliances, linens, and outdoor space...and everything else you can think of! We think you'll be quite happy with the outcome. Take I-90 exit 495 at Hardin, Montana. Follow the signs toward Bighorn Canyon National Recreation Area - south on Montana Highway 313. The turnoff is on the right (west) about .8 miles past the 31 mile marker. The house sits about 400 yards off the Highway.Take I-90 exit 495 at Hardin, Montana. Follow the signs toward Bighorn Canyon National Recreation Area - south on Montana Highway 313. The turnoff is on the right (west) about .8 miles past the 31 mile marker. The house sits about 400 yards off the Highway.